Commissioned in 1941 to create a mural for the Faculty of Medicine at McGillUniversity, Montreal-born Marian Dale Scott had the unusual opportunity to investigate the world at a cellular level. There, she found much to inspire her: shapes and forms in a constant state of transmutation and flux that followed unknown rhythms and a mysterious yet disciplined logic. Upon completing her mural, Scott continued to use cellular motifs in her paintings. Two such examples are Variations on a Theme: Cell and Fossil, No. 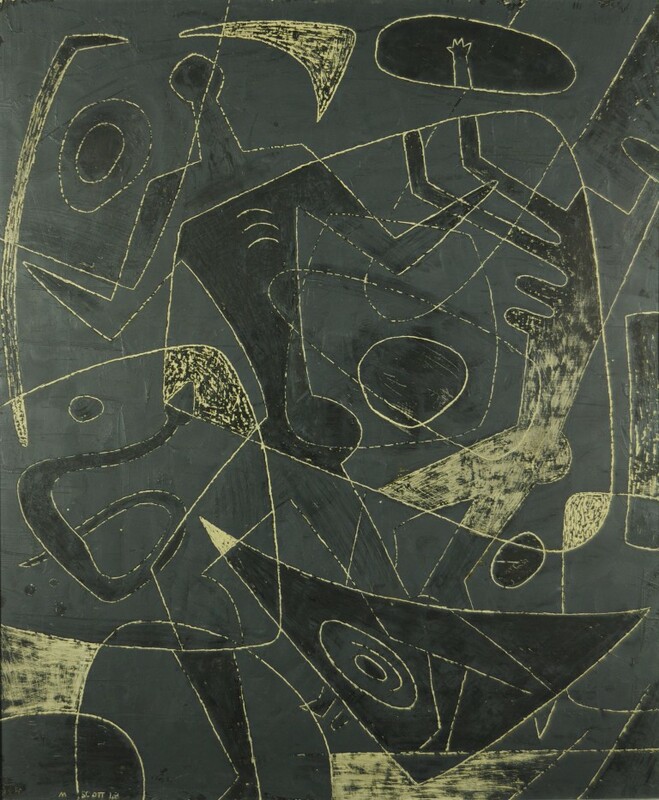 6 (1946), now in the National Gallery of Canada Collection, and Stone and Protoplasm #2 (1948) in the Museum London Collection. By the 1940s Scott had already tried a number of painting styles. The 1920s found her creating bold landscapes not unlike the Group of Seven. Streamlined urban scenes and figurative studies followed, registering the influence of international developments in Modernism. By the late 1930s, frustrated by the lingering hold of the Group of Seven on Canadian painting, Scott helped found the Contemporary Arts Society in Montreal. She exhibited with Alexandra Luke and the soon-to-be Painters Eleven in the 1950s. And, later in her remarkable 70-year career, she also explored action painting and non-objective abstraction, celebrating gesture, colour, line and form entirely liberated from representational constraints.